An international think tank warned in a report that multiculturalism is feeding radical Islam in the U.K., pointing out that in the past couple of decades close to 500 Christian churches have closed in London alone while 423 mosques were built. "British multiculturalists are feeding Islamic fundamentalism. Above all, Londonistan, with its new 423 mosques, is built on the sad ruins of English Christianity," the Gatestone Institute argued in a report released Sunday. It pointed out that since 2001, as many as 500 churches in London of all denominations have been turned into private homes. At the same time, the number of Muslims has grown by almost a million. Statistics from the NatCen Social Research Institute showed that between 2012 and 2014, the number of Britons identifying as Anglicans fell from 21 to 17 percent of the population, representing a decrease of 1.7 million people. Data from British Social Attitudes surveys also showed that those without a religion in England and Wales now outnumber Christians. With the decline of Christianity, Britain has been "acquiring an increasingly Islamic face," the Gatestone institute warned as it looking at cities such as Birmingham, Bradford, Derby, Dewsbury, Leeds, Leicester, Liverpool, Luton, Manchester, Sheffield, Waltham Forest and Tower Hamlets. 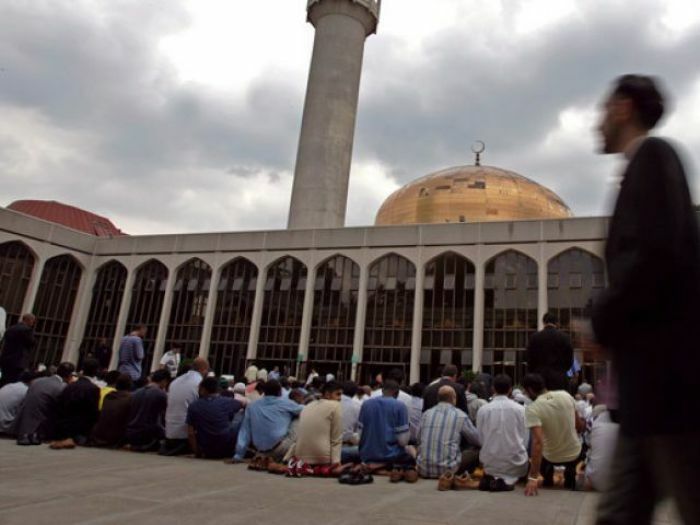 The institute noted that Birmingham, the second-largest British city, has hosted several jihadists who have orchestrated attacks and there have been petitions asking that British mosques be allowed to use their loudspeakers to call Muslims to prayer three times a day. Last month, five people were killed in London by a suspected Islamic State-linked terrorist. London's Muslim mayor, Sadiq Khan, vowed that the city will not cower before terrorism. Former UKIP leader Nigel Farage, meanwhile, suggested after the attack that multiculturalism is further dividing the U.K. instead of bringing it together. "The problem with multiculturalism is that it leads to divided communities. It's quite different to multi-racialism. That's fine, that can work very happily and extremely well. But we've finished up with very divided communities," he said. According to Gatestone, the number of Islamic sharia courts in London has been growing, with 100 of them now officially operating in the city. "These new courts are based on the rejection of the inviolability of human rights: the values ​​of freedom and equality that are the basis of English Common Law," the think tank warned. It criticized figures such as Rowan Williams, the former Archbishop of Canterbury, and Chief Justice Lord Phillips, who have expressed sympathy toward such courts, by arguing that London's changing society is exposing people to greater terror dangers. "The British cultural establishment is rapidly capitulating to Islamic fundamentalists in accepting their demands," it said.